Mossad 'cell' reportedly managed to thwart a significant number of major plots against Israeli targets; agent was dept. head of foreign ops. Hezbollah says it recently exposed a Mossad agent embedded among its "elite operations unit", in what the Iranian-backed terror group says is "the most serious [intelligence] breach in Hezbollah's history." According to Lebanese media reports, "sources close to Hezbollah" claimed an Israeli intelligence cell - comprised of four Hezbollah members under the command of the Mossad agent - had managed to foil a number of attempts by the Shia Islamist group to carry out attacks in revenge for the assassination of its most senior military chief, Imad Mughniyeh, back in 2008. Israel never confirmed or denied it killed Mughniyeh, who died in a massive car bomb blast in Syria, but Israeli intelligence services are widely believed to be the most likely party to have targeted the elusive terrorist kingpin. According to the latest dramatic report, the Mossad infiltrator had managed to climb the ranks within Hezbollah to become the deputy head of the terrorist group's "foreign operations apparatus", known as Unit 910. Hezbollah sources claimed the alleged agent - a man from south Lebanon identified only by his initials, "M.Sh" - received several payments of $1 million from the Mossad. According to Lebanon's Al-Janoubia news site, the Mossad "cell" was responsible for the "failure of Hezbollah operations in a number of countries against Israeli interests in past years." 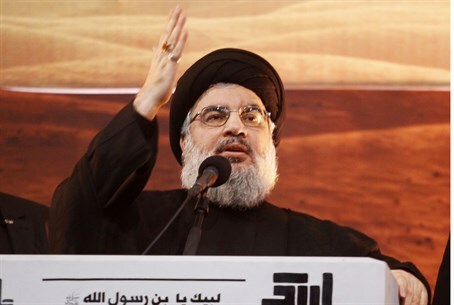 Al-Janoubia reported that Hezbollah launched an internal investigation after Unit 910 - which is responsible for carrying out terrorist attacks outside of Lebanon - saw a string of carefully-planned attacks foiled, causing "a state of frustration in the party’s ranks." Hezbollah has attempted to "avenge" Mughniyeh's assassination via a number of terrorist plots against Israeli and Jewish civilian targets, but apart from the 2012 bombing of an Israeli tourist bus in Bulgaria, which killed six people, all have fallen flat. In October, Peruvian counter-terror police arrested a Lebanese man who they said was planning "major" terrorist attacks against Jewish and Israeli targets in the country's capital, Lima. The man was later identified as Hezbollah operative Mohammed Amadar; police reportedly zeroed in on him after a tip-off from Israeli intelligence and found him in possession of "traces of explosives." In April of this year two other Hezbollah members - French-Lebanese Daoud Farhat and Lebanese-Filipino national Youssef Ayad - were arrested in Thailand. The pair are believed to have been part of a plot to attack Israelis over the Jewish festival of Passover. That was only one of a number of apparent Hezbollah-sponsored terror plots in the Asian country, which is popular with Israeli tourists. In September 2013, Thailand jailed Swedish-Lebanese citizen Atris Hussein for possessing bomb-making equipment, as part of another suspected Hezbollah plot. Another joint Swedish-Lebanese citizen and self-confessed Hezbollah member, Hossam Yakoub, was jailed by a Cypriot court earlier that year for "criminal activities." More serious charged were dropped, although Yakoub admitted he had been conducting reconnaissance missions on Israeli tourists and gathering information on "the Jews." After the series of failures Hezbollah set up a secret unit to investigate the presence of double-agents in an operation closely monitored by Iran's Revolutionary Guards Corp.
"After close monitoring of the most important security officials, the unit arrested five Hezbollah members including the [Unit 910 deputy chief]," Hezbollah sources claimed. The alleged spies are believed to still be in Hezbollah custody. According to Lebanon's Elnashra news, the agent helped to "foil many attacks by Hezbollah against Israeli targets aiming to avenge the assassination of Hezbollah commander Imad Mughniyeh in Damascus" in 2008. Intriguingly, in the case of Farhat and Ayad, the Islamist duo were outed as Hezbollah agents by a mysterious website called "Stop910" - which is dedicated to exposing the activities of Hezbollah's foreign operations division. The website describes itself as "an association of western intelligence organizations," and offers cash rewards for information exposing Hezbollah terrorist activities outside of Lebanon. "We call upon you to assist in our activity, whose purpose is to end Hezbollah-perpetrated terror in Lebanon and abroad," the site says. "We ask that you send us any and all details that you have to help in this effort, especially information on the true identity of the people in the photos displayed on this site." It also offers information on the structure of Unit 910: "Hezbollah's elite and strictly compartmented clandestine unit is commanded by Talal Hamia, and functions as the far-reaching strategic arm of Hezbollah and Iran," it claims. "The unit is composed of a small group of operatives, mainly Lebanese Shiites whose families were not born in Lebanon, some of which even hold authentic foreign identity documents allowing them to travel across the world under false identities and tourist or business cover stories." Analysts have suggested the site is likely operated by Israeli intelligence services given the amount of high-level raw-intelligence in contains.